The security camera monitor is probably considered one of the most important components of a digital video security system. Yet, it is not purchased as often as other components like cameras and Digital Video Recorders (DVRs) and today's systems can actually run without one. In fact, Security Camera King takes pride in offering a complete digital video security package that includes the cameras, cables, connectors, power supply, and DVR but no monitor. Why is that? Read on to find out why, and to learn some other interesting facts about the security camera monitor. The security camera monitor is probably considered one of the most important components of a digital video security system. Yet, it is not purchased as often as other components like cameras and Digital Video Recorders (DVRs) and today’s systems can actually run without one. 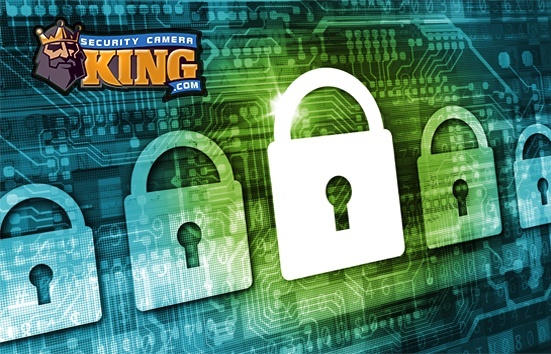 In fact, Security Camera King takes pride in offering a complete digital video security package that includes the cameras, cables, connectors, power supply, and DVR but no monitor. Why is that? Read on to find out why, and to learn some other interesting facts about the security camera monitor. There are three types of security camera monitors based on how they are used. The first is a set-up monitor. This monitor is only used when the system is first installed or any future changes are made to the system. It may come in a variety of styles and sizes. 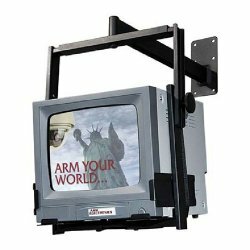 Security Camera King offers, for example, our product number VX-WLCDM, a 2.5 inch LCD service monitor with a wrist strap. Use this monitor to aim cameras, choose settings on the DVR, and check connections. Once the system is set up or the changes are made, the monitor is usually disconnected from the system. The second type of security camera monitor is called the “spot monitor.” A spot monitor is usually a monitor that is connected to just one camera. It allows the user to specifically monitor full-time that one area of the security system that the specific camera covers. The monitor maybe located in close vicinity of the camera it is monitoring or may be located in another location, whichever is most appropriate for the user. If the spot monitor is used on a “cabled” system, there must be a separate cable run to the spot monitor in addition to the DVR. This is usually accomplished by adding a splitter to the cable at some point to create a feed to the spot monitor and another to the DVR input. The third type of security camera monitor is the system or main monitor. This monitor is generally connected to the DVR by one or more cables and displays the on-screen information of the cameras and the DVR. Usually this monitor is bigger in size than a spot monitor so that it can accommodate the simultaneous displaying of all or groups of cameras in the system at the same time. Security camera monitors are like televisions (or perhaps more like personal computer monitors) in composition. There are basically two types of monitors that are used today, but generally there is only one type that is used the most often. The two types based on composition are the CRT and LCD monitors. The CRT or Cathode Ray Tube monitor is the oldest type. As its name implies it consists of a Cathode Ray Tube that produces the picture. The CRT monitor is bulkier, heavier, and produces a lower resolution picture than the LCD monitor; basically, its equivalent to the older models of televisions that also used a CRT. These monitors are still used today, but usually in older systems or as spot monitors. A monitor is required to initially set-up a system. However, all systems do not necessarily have system monitors. The reason for is because once the system is set up it can record and function automatically. More often however, users have personal computer systems or older monitors from computer systems in which the system is outdated but the monitor is still useful. Then again, many users opt to connect their systems to the Internet and use any computer system’s monitor or even a Smartphone instead. One last note; if you are considering purchasing a security camera monitor, regardless of the type, make sure the monitor has the proper connection input type available. Our DVRs have HDMI, VGA, and BNC connections to make connecting the monitor an easy process for you. However, many monitors, especially those once used for computers, only have a VGA connection for example. So be certain to make sure your monitors, camera and DVR display types, and connectors match.